A Kontrol S4 at the heart of a thoroughly professional DJ set-up: But what should you do if the club you’ve got a gig at won’t let you use a controller at all? I’ll give you a few thoughts, but I want to throw this one over to the readers as I am sure many will have had similar experiences and can share their advice too. I also link to some useful posts exploring this issue in more detail at the end. On the one hand, it is often said that a “good DJ should be able to play on anything”, so in the longer term, learning to use CDJs would be a good thing. They’re not so hard to master, but you do need to make the big leap to manual beatmatching. You can teach yourself to do that on your S4 though – just cover the waveforms on your screen and don’t use sync! On the other hand, it is quite limiting of the club owner to ban your controller and laptop from his DJ booth. You can understand it though: He has perfectly good DJ gear and wants his DJs to use it. Still, I wonder what he’d do if an “established” DJ wanted to plug in a sampler to use over his CDJ set? Ban that too? 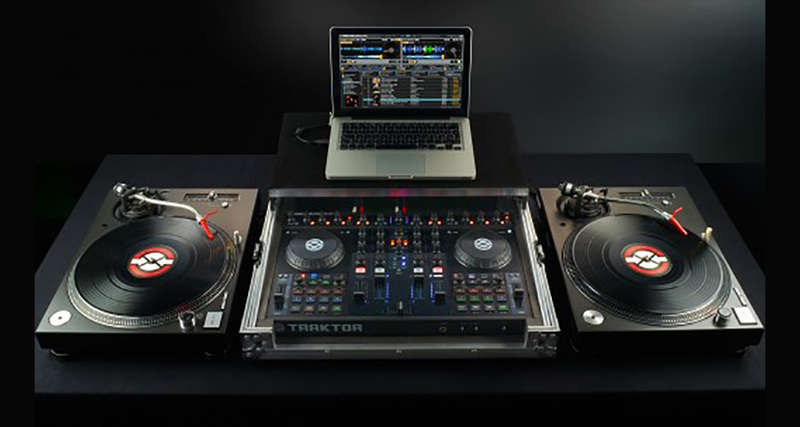 Finally, lots of Pioneer gear nowadays can work directly with Traktor, and if you can get his CDJs to control Traktor, you’d only need to take a laptop, and possibly a Traktor audio interface should the club’s mixer not work directly with Traktor. You can check out Traktor/Pioneer compatibility on the Native Instruments Traktor pages on their website. So, over to you: Have you had to deal with this situation? Did you manage to persuade the club owner to let you do it, or did you cave in and use the CDJs, or just not do the gig? What would your advice to Taylor be? Please share your thoughts in the comments. 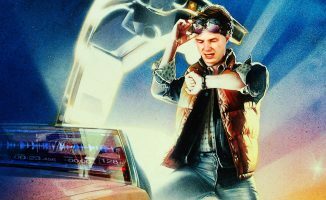 Over To You: Will I Be Taken Seriously As A Digital DJ? Your Questions: Convince Me To Remain Digital! It’s the same thing. actually. I think just try to beatmatch by ear in your cue headphones is the best way to practice. The owner of the club probably just has a certain system/setup that keeps the volume/level/wattage at a certain point and doesn’t want a DJ bringing in something that would conflict with that..
Couldn’t you just have a compressor installed in between the club mixer and PA, to protect against DJ’s who want to play into the red. By having one installed, it will instead make their audio sound heavily compressed if they go into the red, and it will help protect the speakers. The club owner is well within his rights to allow or not allow certain gear in his club.With the mounting evidence of dj’s faking it these days I’d say the club owner knows about controllers and what can be done with them. If this dj cannot mix on other platforms,cdj,TT,etc,etc,that tells me all he has learned is how to sync with the S4..The learning curve on cdj’s is only slight and can be picked up quickly by someone who has learned to manually beat matching in the first place. I’ve had more gigs with at least some problems with controllers than ones when everything actually works. Some cd players were just as unpredictable (some stantons, semi old pioneers) and just not good for professional use. If you really have not had any problems with your gear ever, then you can mention it. If the club owner just wants “real djing” then you have to take your business elsewhere or learn to mix with cd fast. It’s not that much harder if you’ve learned djing the hard way, doing everything without software aid. I concur. I’ve even had situations where the CDJs faulted but my Denon-MC6000 keeps on going. S4s are showing up everywhere. 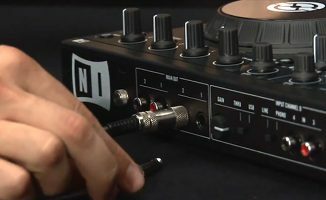 I even have a Turntablist friend who is thinking about moving away from them and just using his X1 and then incorporating the F1. Very, very well said. Now that´s is adapting, that´s being flexible and trying positively to move past an obstacle. We focus too much on the equipment part of the equation, but how many times have we solved a problem like this or any other by using our social and communicative skills? If you’re going up and down the coast you have at least SOME sort of name for yourself. When you’re at that point no one tells you what to play on, when you don’t, you don’t really have any power to do what you want. Thing is though, people complain about digital DJing being all low quality MP3’s and stuff. When in fact most dudes rocking CDJ’s have themselves just burnt a “low quality” MP3 onto a CD! 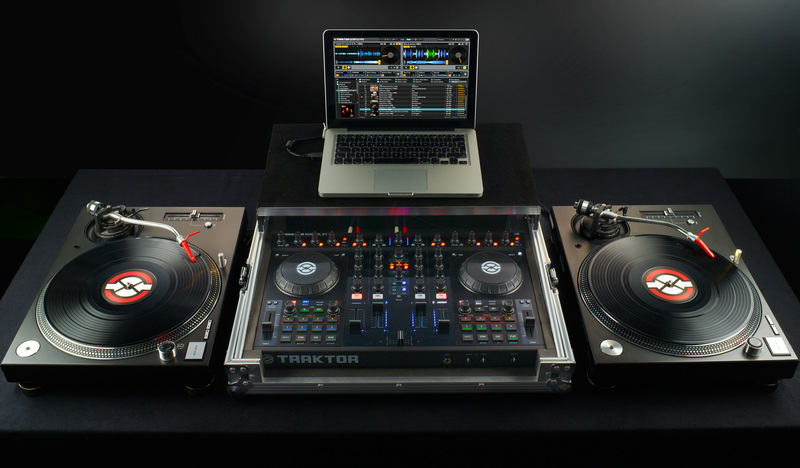 I recommend keep ur s4 get both traktor x1 mk1 and traktor A6 with control CDs & vinyl and ur good to go. That’s what I use anywhere…use that wherever u go and only use ur s4 if the venue doesn’t have any equipment…easier to commute and ur still able to do everything ur accustomed…add an f1 like me and even better but I recommend only if they have a 3 or 4 channel mixer. Good luck bro! I think this highlights simply the hypocrisy we’re facing from certain stuck in the past holdouts. A-Track now uses a DVS system with his laptop. Felix da Housecat has gone pure digital and isn’t getting turned down for gigs. Deadmau5 uses a laptop and, by his own admission, says “we all just push play”. Yet if you’re an unknown using a controller you’re poisoning the well and ruining the artform somehow. Of course its not about the music. The thing most people forget is that club owners and most promoters aren’t in it for the same reasons we are. We do it for the music, for the love of performing, for the thrill of connecting with the crowd over a shared passion. Club managers do it for the ticket and bar sales. I have to agree that if you want to grow, then you should be able to walk up to setups and play. I wouldn’t sell the S4 though. You could use it in manual meat matching and learn the flow of CDJs with it. 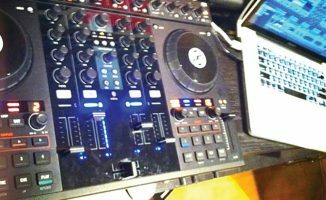 Don’t sell your S4, you can easily replicate the CDJ feelinside of traktor to practice on at home. You just have to put the decks into their smallest viewing size, avoid pressing the sync button, only use manual looping and three hotcues and if you want you can remove the BPM read out from your deck header. However, most CDJs now do have a BPM readout on them so that last step is optional. Disgraceful behaviour. That’s like telling a person who performs with a guitar saying they can only use the approved club guitars and not your own. This digital bashing has to come to end as there is too many dinosaurs in the industry. It takes a higher intellect mind to use digital gear. It doesn’t make it easier. Majority of these people who bash the style can’t even operate a computer and become too alienated. Tell the manager to stick it where the sun don’t shine. You’re not performing in Space Ibiza, you are playing at your local venue. (Some) clubs invest a lot in their equipment – so much so that they think they have some kind of “signature” sound. Rather than fight it, or be defensive – see if you can 1) get pre-open time on the decks, or better yet – bring your kit and ask for a sound check with the boss to show sound quality and easy connection with their existing sound board/setup/etc. Obviously being able to work with whatever is put in from of you is a sign of a professional. However that being said, the club manager’s attitude is BS. Would he tell a guitar player, “you can’t play because you use a Les Paul, you need to play a stratocaster if you want to perform in my club?” The answer isn’t just no, it’s hell no. you should be able to use the tools of the trade of your choice. Eff this guy and his club. Exactly this. It’s perfectly fine for the club to not want you to fuss with their setup AT ALL as long as they have quality, club-standard gear. Also the Traktor S4 has very sub-standard sound quality on big systems. Unless you’d be plugging into a channel on the house mixer, I wouldn’t want an S4 in a club I ran either. Hmm, I didn’t looked at it this way. But you good some good points there. Maybe it is a good idea to show the promoter how you hook up a controller. They indeed might be worried you are ripping al the cables loose and make a mess of his expensive gear. Interesting remark. But I’d say that a professionally set up club booth should not only have a working CDJ setup but also at least one line-in. That’s all you need for a S4. I read many ‘learn to beat match’ arguments, but what about all your cue points, other meta data (like key and energy information) and effect settings that you might want to have available to you in your sets. Those can be very personal and can give a DJ a signature sound. If its for quality and performance sake, a club owner should allow people to bring their native gear/platform (Presuming its all top notch quality of course). I wouldn’t really assume that most clubs have CDJ2000’s at all! Most of the clubs round my way have pretty cheap stuff, or at very best an older set of CDJ1000’s. Only big clubs have brand new top of the line gear. This is valuable insight and something I promote a lot! When you switch off all other senses and tune in to your ears your skill level increases. Stare at a picture of the CDJs that the club has installed for a few minutes, now skim the manual for said CDJ. Congratulations, you’re now completely certified to play on CDJs. Sounds like the manager isn’t as open minded in that sense, but you could use it as an opportunity to get familiar with CD deck’s also since you can’t get access to any. Sounds to me that the club owner is a shareholder in Pioneer DJ equipment. Dude! Honestly! don’t change your ways for anyone else, DJing is an art form and you should use whatever you feel comfortable using + you should tell them those are your tools of the trade and your way to play your sets, nobody tells Ritchie hawtin to not come cause he doesn’t use turntables… you keep true to your style always and practice and play the best you can, clubs there are many, don’t worry. It’s got nothing to do with changing your ways. I know plenty of artist who do oil paint, but they have learned how to be creative with crayons, water paint and chalk as well. There is nothing wrong with learning more about different tools of the trade. The art here is DJ-ing, not mastering a controller imho. Yes, you don’t have to ‘pick’ one over the other. Keep your S4, borrow, rent, just ONE CDJ for a weekend and learn it. Increase your skill bank! Fortunately I still own my original SL1200 MK2 tables,have all my original vinyl, but quite honeswtly woudl not even take the gigi a that is seriosuly bad and professoinally crossing the line. that is perfect example oinmy mind of the bad club owner oragetns that are out htere and Ihave met enough of htem. if that’s what the club manager thinks, then that’s just the way it is. the truth is this. club “go’ers” are the ones paying the bills. I think there is nothing wrong with the guys attitude. He’s a relatively new DJ by the sound of it and has a chance to do a gig at a place that doesn’t allow his controller in (rightfully or wrongfully so being irrelevant). And he is wondering what to do and is this “normal”. I don’t hear him say it’s anybody’s fault, just that it is HIS challenge! Sorry my friend , you never can compare a guitar with a controller , please don’t do it . As dj you should know a controller is the same as a cdj , both works in the same way and YOU must know how to use it . There’s a lot lazy djs , it’s a jungle outside , you need to learn how to survive , it’s on you . Pilots usually use autopilot, but they damn well better be able to fly the plane without it. DJs should be able to beat match without sync. Simple. I agree with something i saw further back in the comments, the owner shouldnt care what you use to Dj with, if your the DJ, you deserve the right to do your job. I could be DJing at Australia’s biggest club, with thousands of people drunk out of their mind, using an iPad and Djay. If your playing good music and mixing, your a DJ, and your doing what your getting paid for. My, oh my! This one has certainly stirred the “hornets nest”. I agree with most people’s sentiments that in a perfect world you should be able to use what you want to DJ, but realistically it isn’t. And again I agree you should be able to use as many different types of equipment as required. My advice would be to buy a pair of belt-drive turntables! Why? I learnt to beat match and DJ on belt drives in the 90’s and believe me once you’ve mastered them anything else (direct drive, CDJ’s, etc) is gravy! I am totally shocked by this mail. I come from the vinyl era and switched to Digital. But reading this message I seriously start to think that I made have made a terrible decision to choose a laptop instead of CDJ’s. Thanks for the message. It seriously made me reconsider my setup. There is how ever one thing I don’t understand from that club. How about all the Ableton users? Does this mean Ableton users also have a smaller change of getting gigs just because they don’t use CDJ?